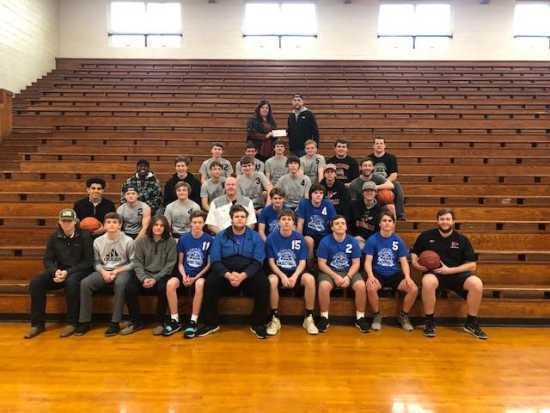 Accepting the check on behalf of the Optimist Club was member, Alex Austin along with a group of boys and coaches that participated in the program, and presenting check was Cheryl Farrow, Director of Operations for McDonald's. McDonald's recently teamed up with The Optimist Club of Jackson to help sponsor the Youth Boys Basketball program by donating $2500 towards team t-shirts for each player and coach. This program serviced almost 600 youth this year alone and continues to grow. The Optimist Club-Friends of Youth each year raises funds, giving in upwards of $50,000 back to the community in several different ways involving youth in our area.